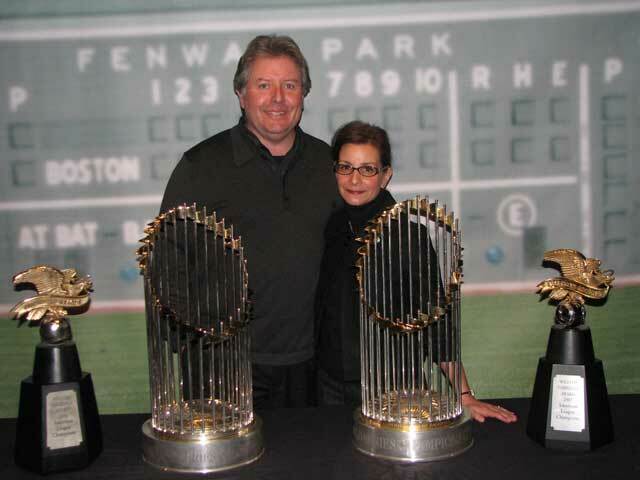 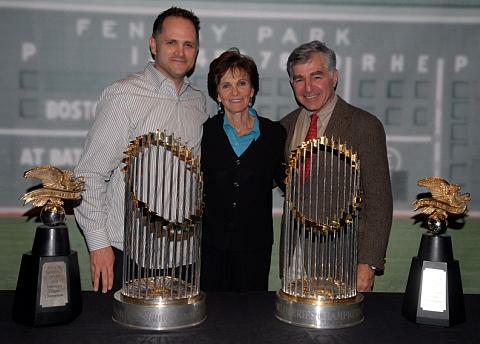 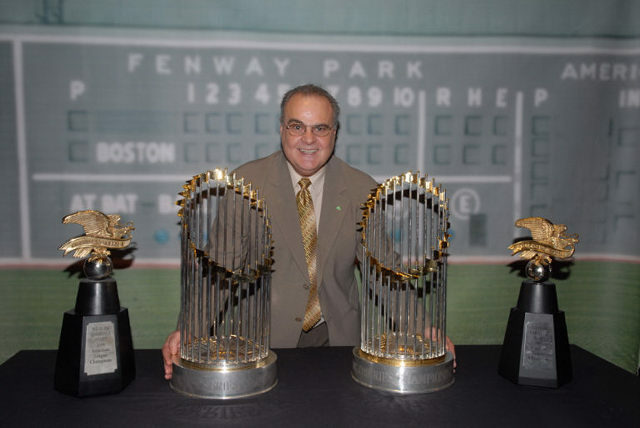 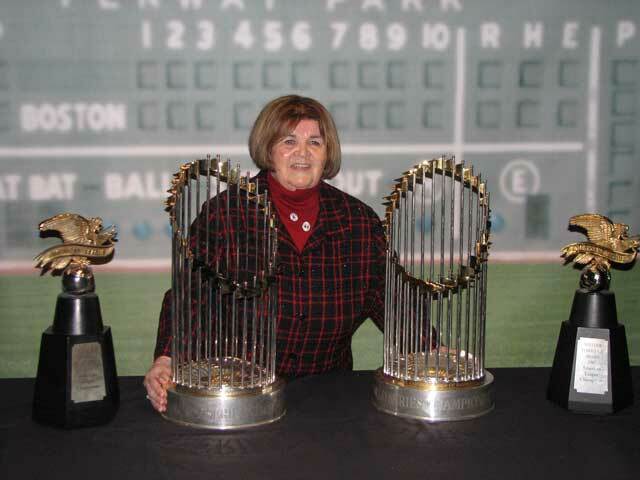 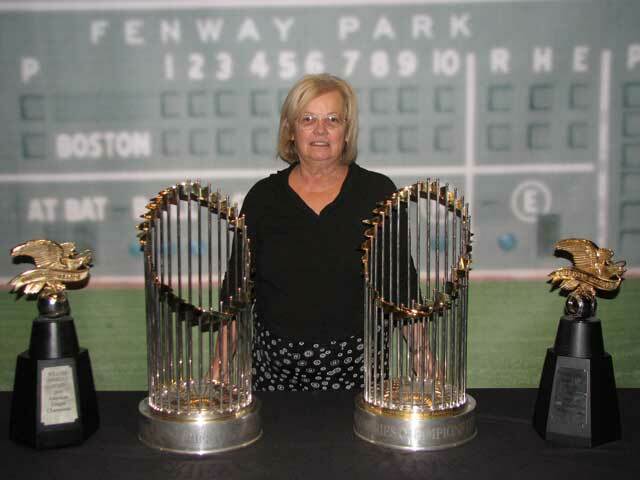 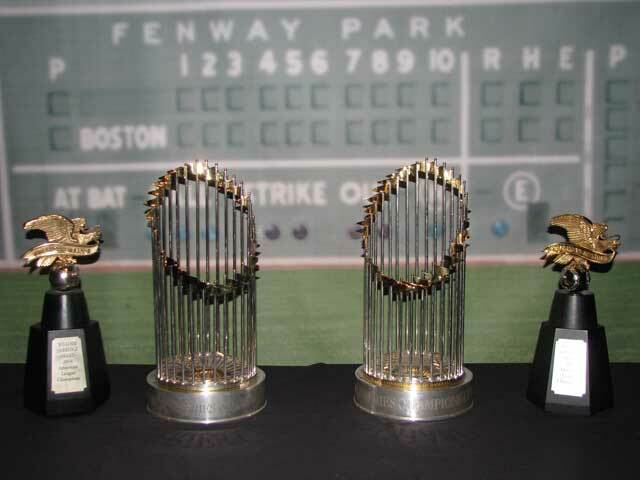 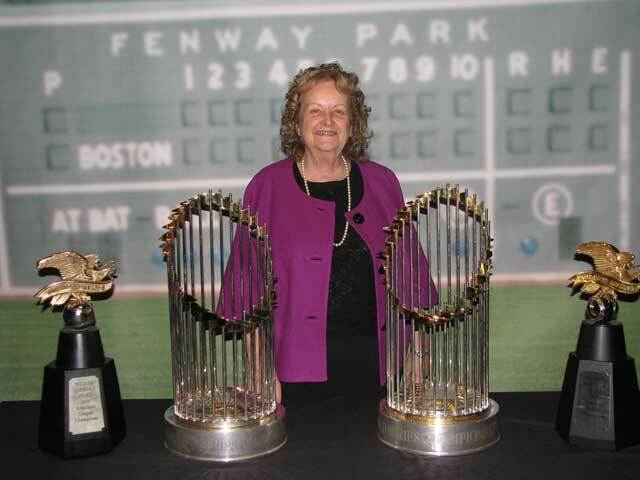 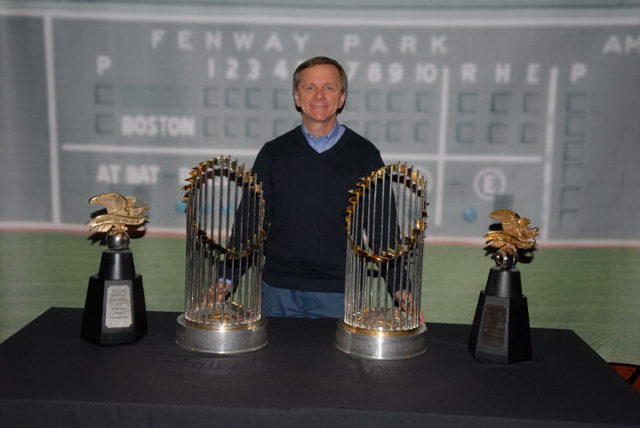 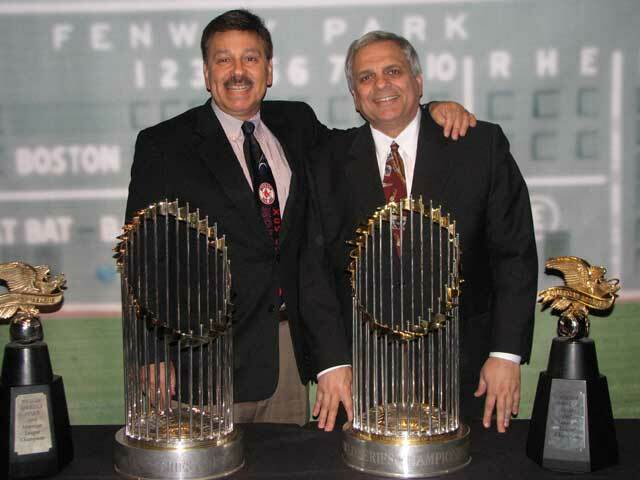 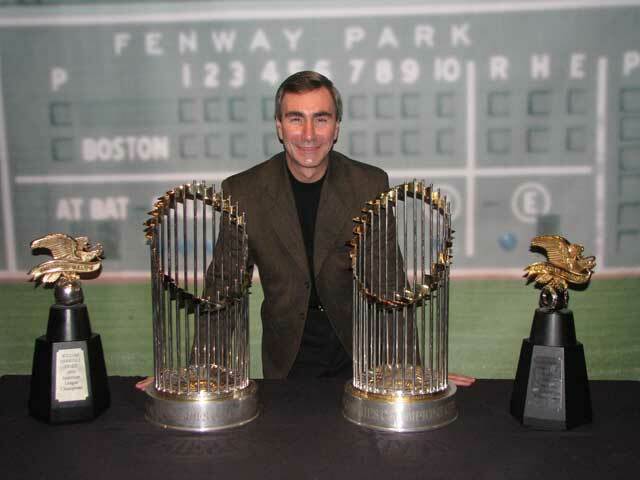 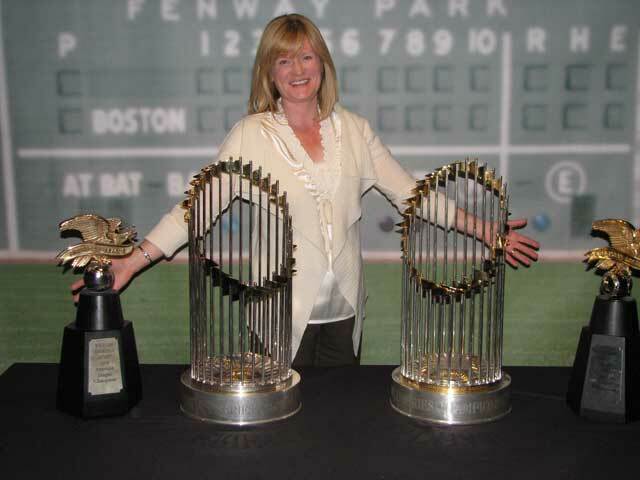 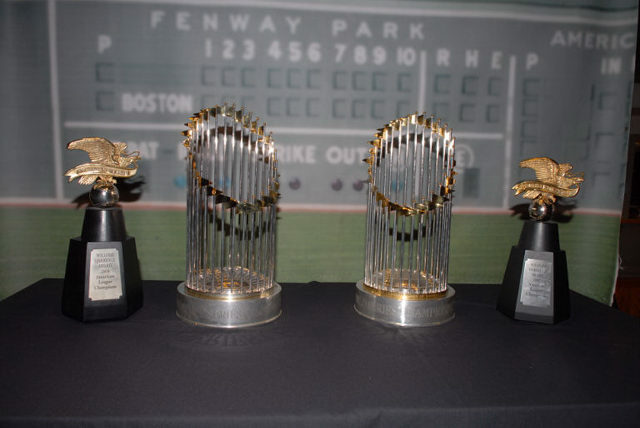 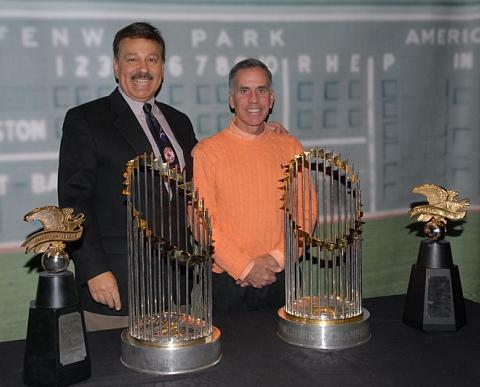 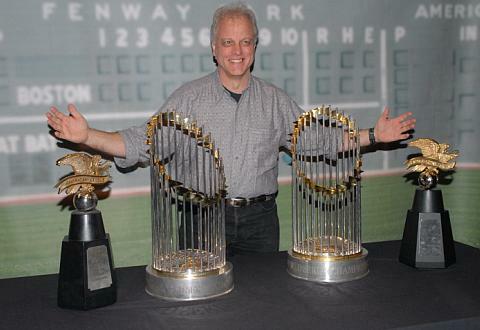 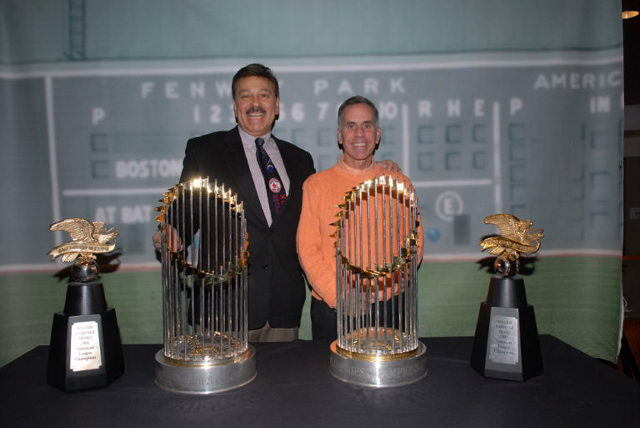 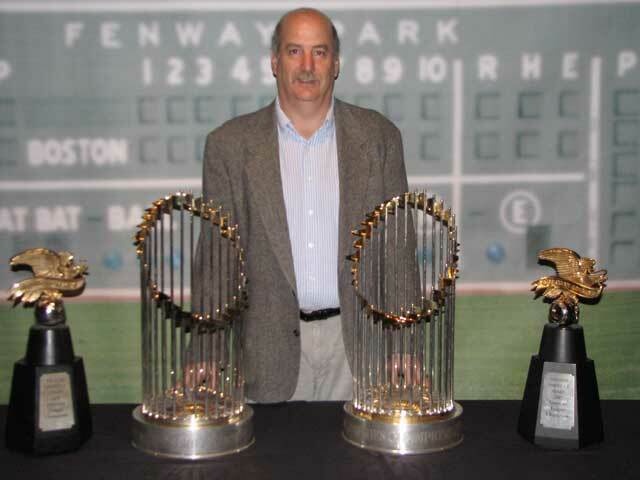 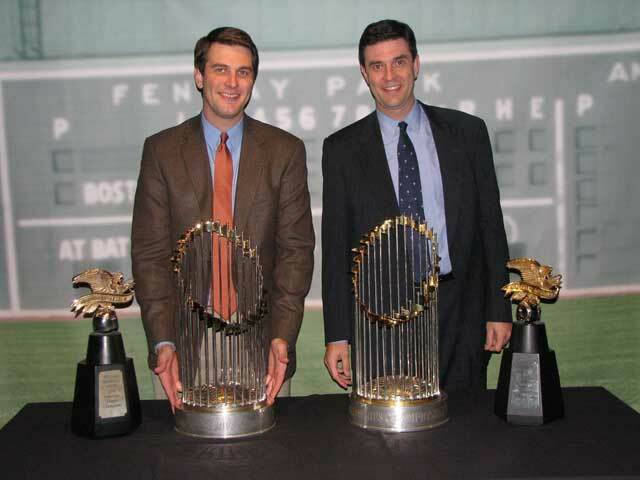 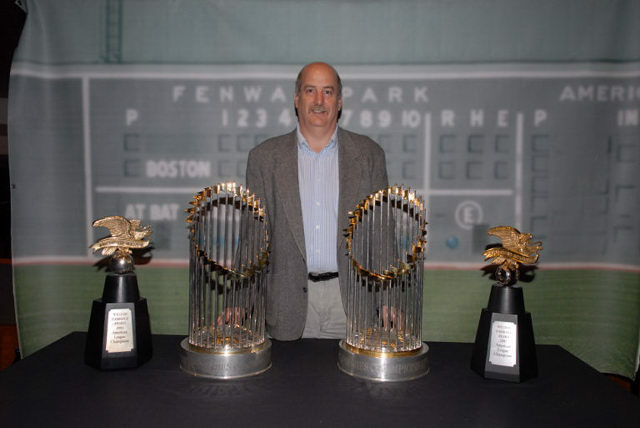 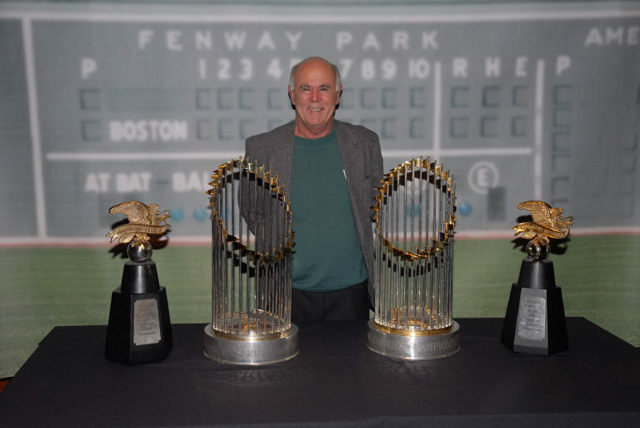 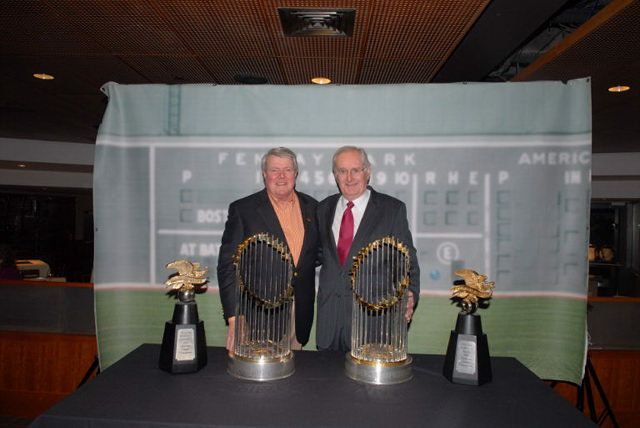 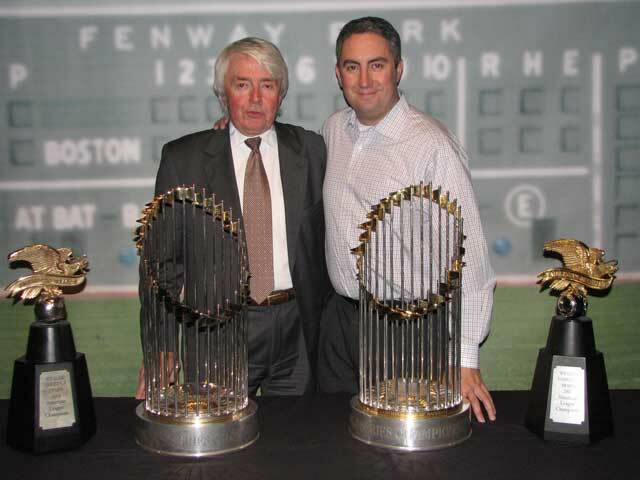 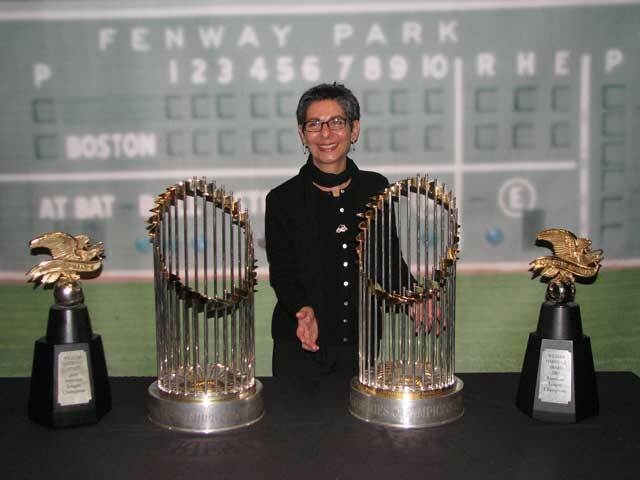 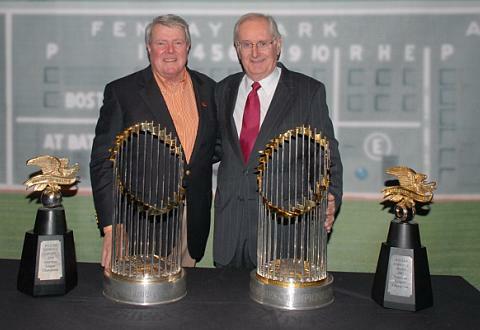 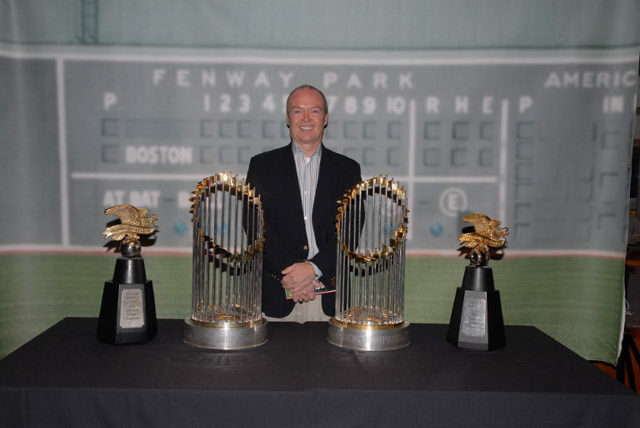 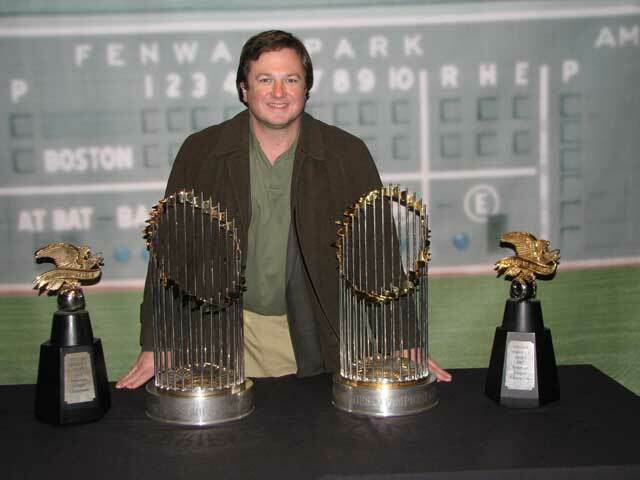 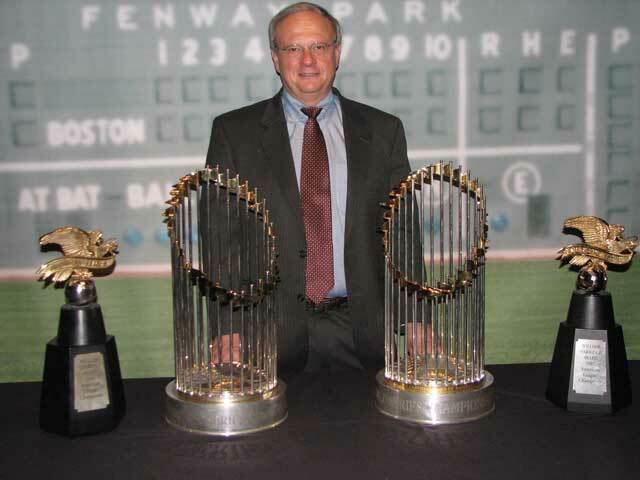 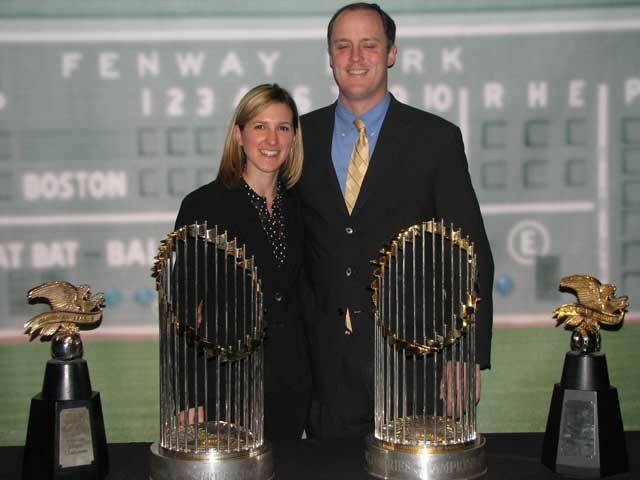 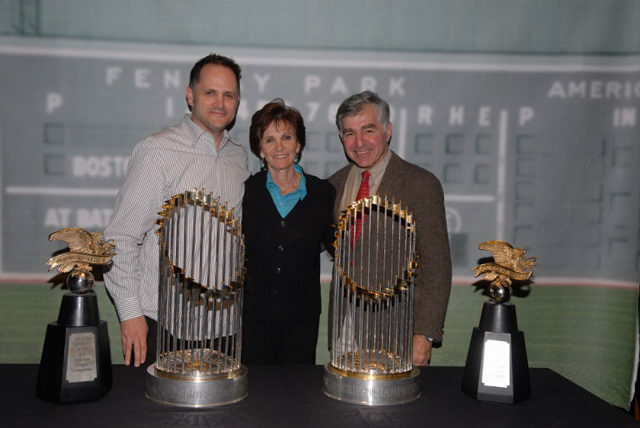 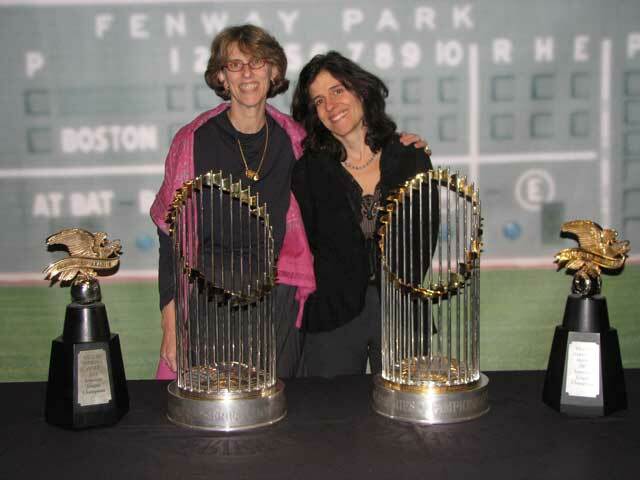 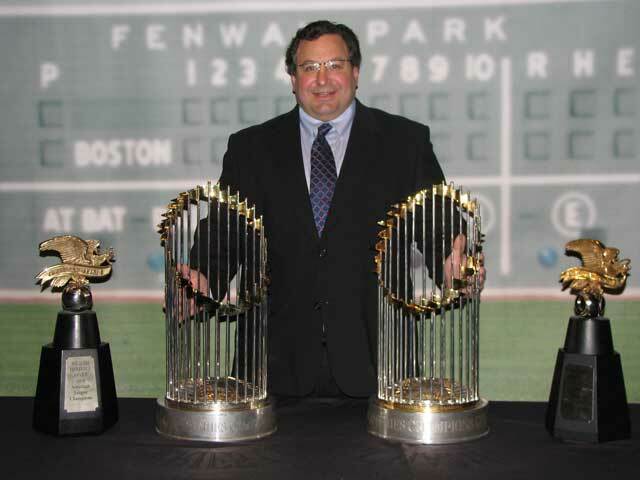 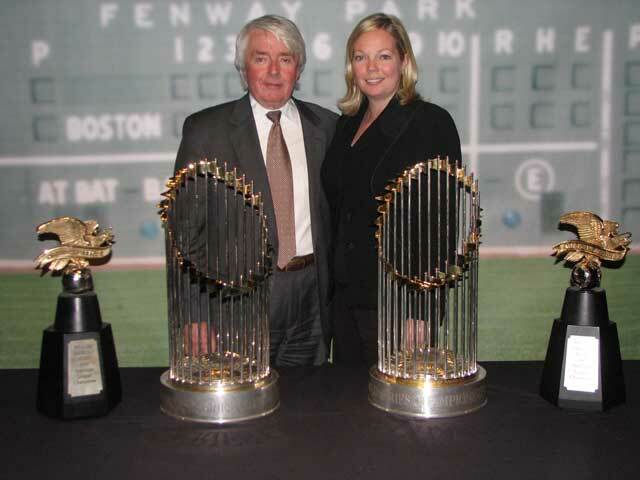 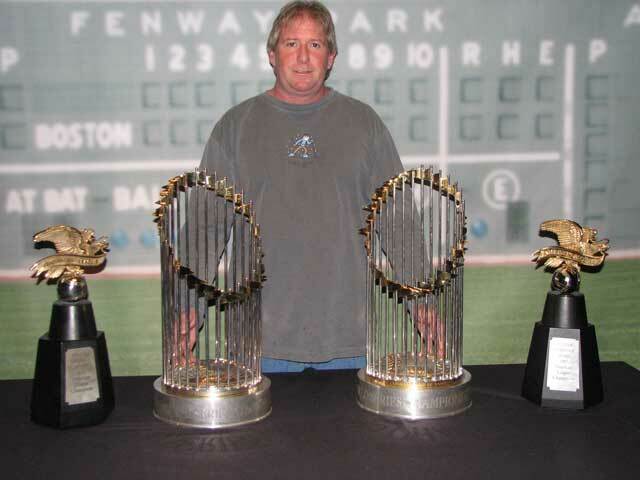 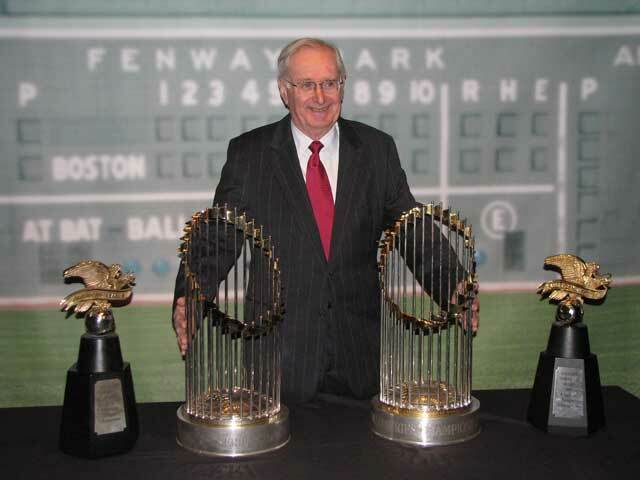 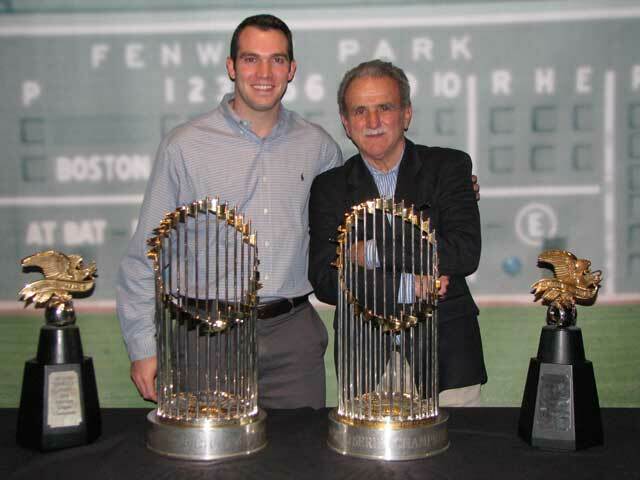 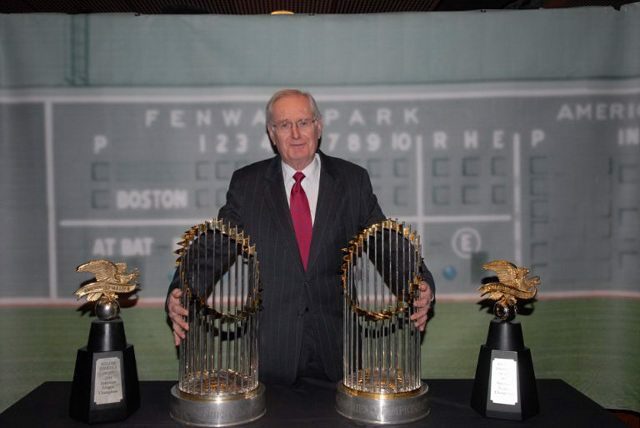 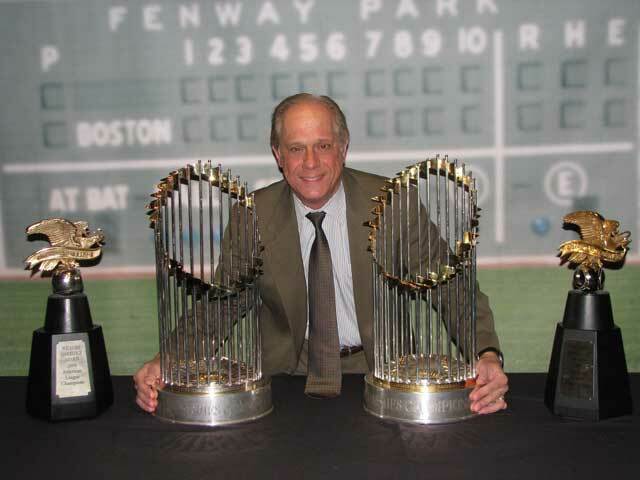 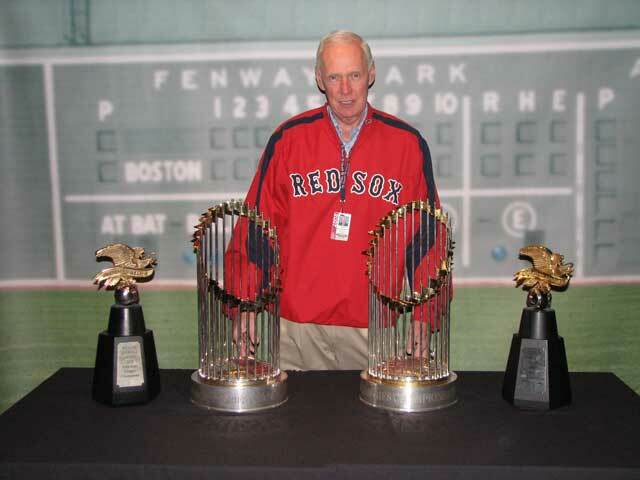 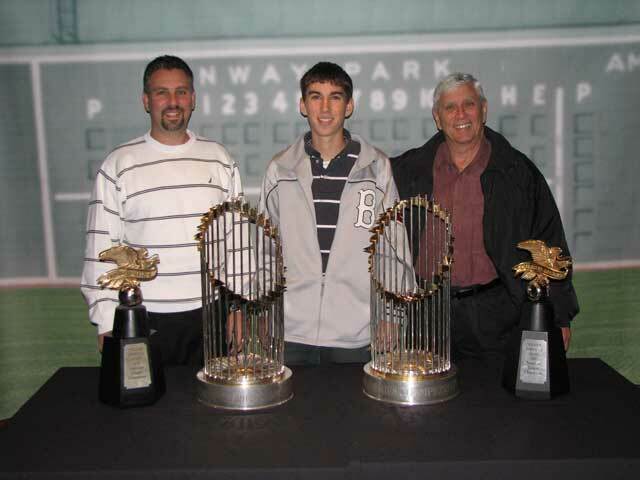 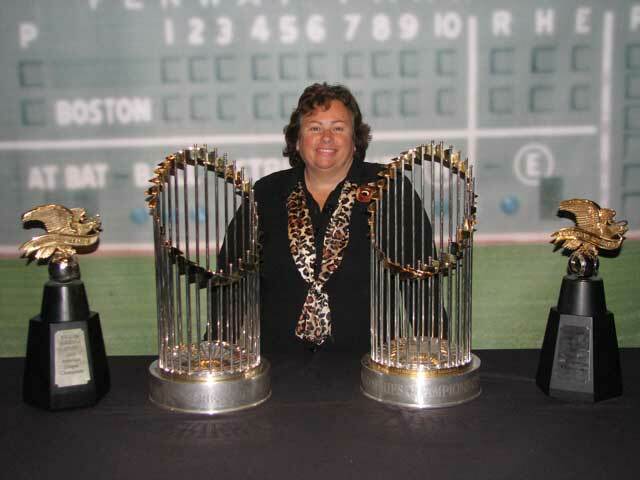 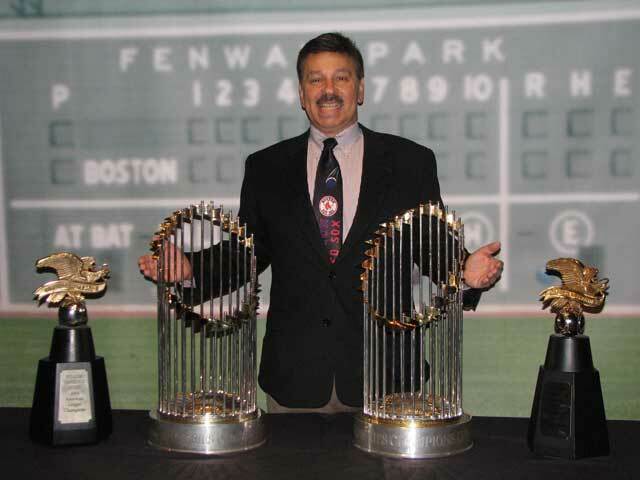 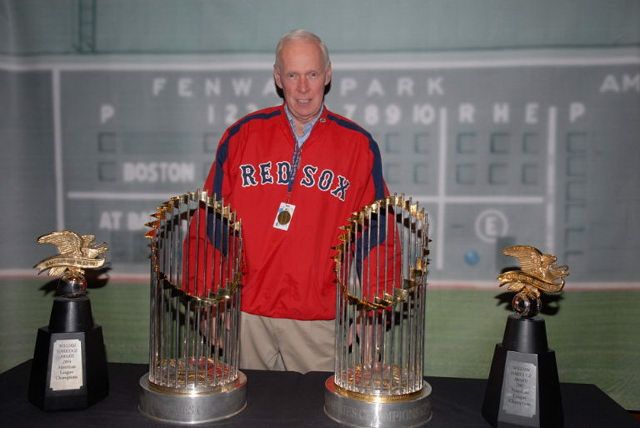 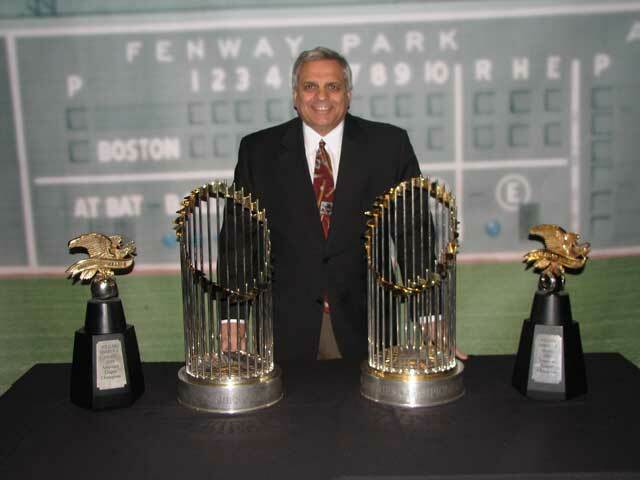 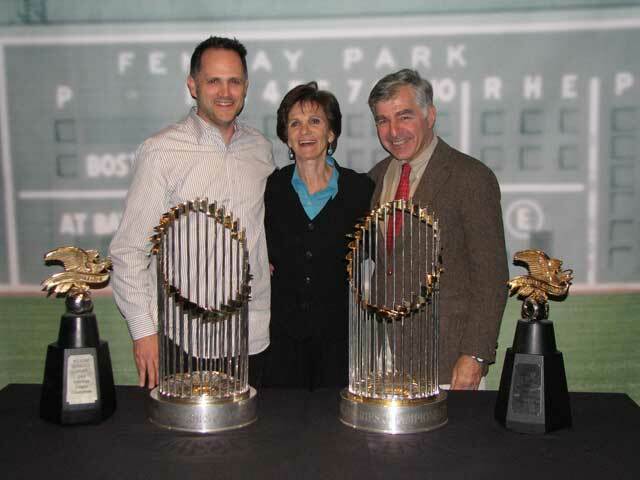 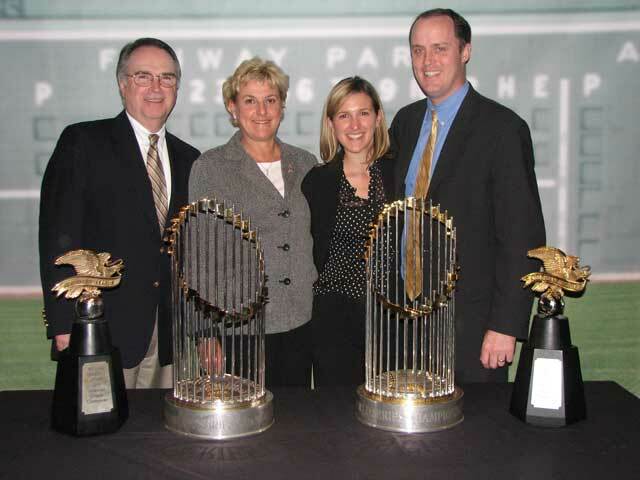 On the night ESPN’s Tim Kurkjian spoke to The Writers Series at Fenway Park, the Red Sox provided an opportunity for those in attendance to have their pictures taken with both the 2004 and 2007 World Series trophies. 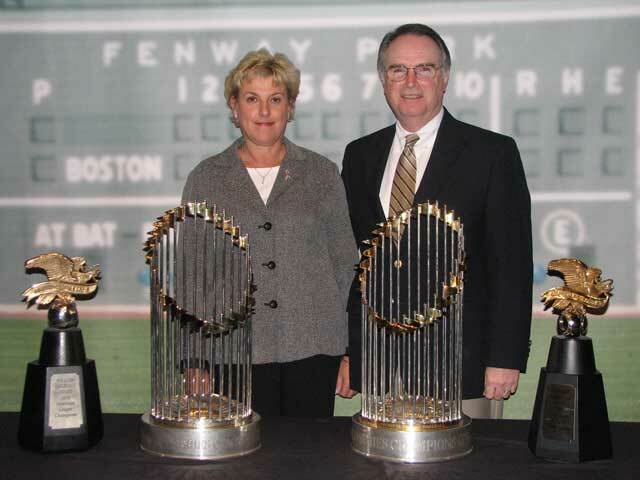 It will not surprise you that many did. 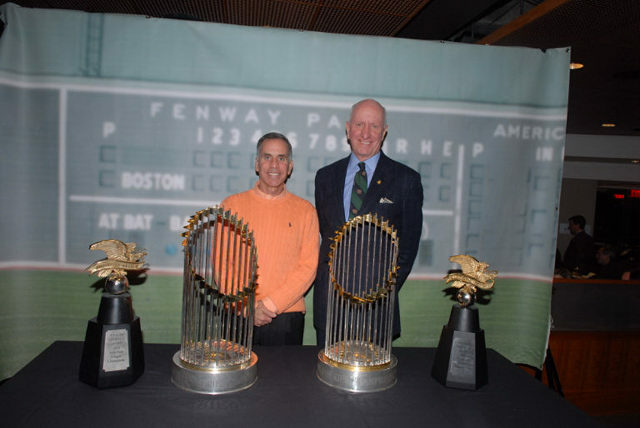 Tim Samway, that wonderful man from New Hampshire, a gifted photographer, immortalized that memorable night with Mr. Kurkjian. 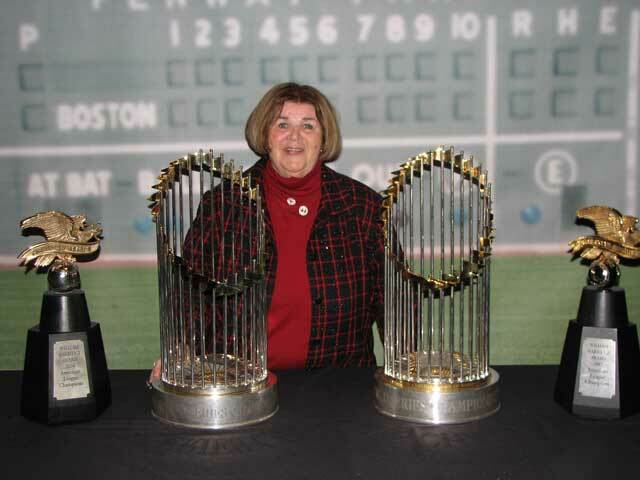 Cindi Adler, a member of that remarkable group of Red Sox Ambassadors, also took photos with her Olympus. 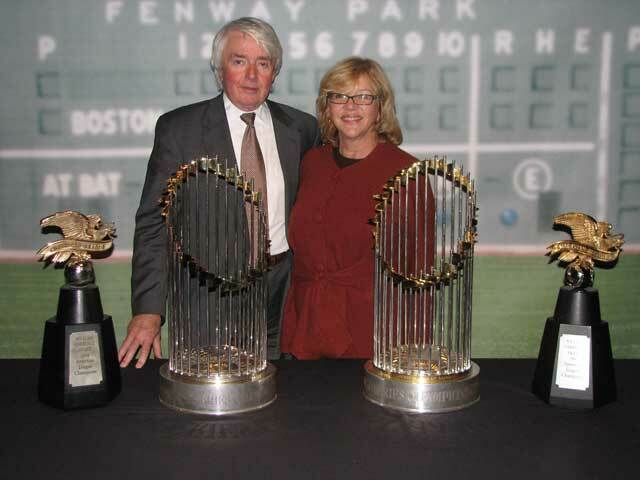 I am grateful to both Mr. Samway and Ms. Adler for their assistance.